In the cool evening hours, usually between a late lunch and day's end, communities across Spanish-speaking countries partake in a paseo, a leisurely stroll around the central plaza, often in the shadow of the cathedral, where young girls flirt with young men with each pass, their mothers scold and commiserate from a few feet behind and the men share gossip on the park benches. To celebrate that tradition and to mark the start of summer, College of Southern Idaho's Blaine County Center and the Hunger Coalition invite the community to engage in a paseo through the Hope Garden while enjoying music and foods from Latin America on Friday, June 15, from 3-6 p.m. This community festival will also mark the conclusion of CSI's sixth annual Sun Valley Summer Spanish Institute, a week-long language and culture-immersion program unique to the Pacific Northwest aimed at helping adult students advance their Spanish skills. 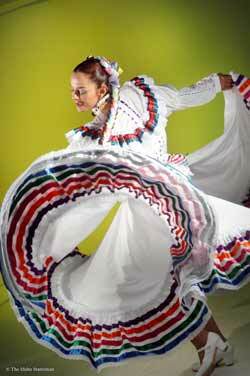 The mariachi group Sol de Acapulco will provide music, and Norma Pintar, a professional dancer, will give presentations of Mexican folk dances. In addition, several food booths will provide tasting of foods from a variety of countries—from Mexico to Panama to Peru to Guatemala. The cost for a plate of food is $2. "The goal of the paseo is to celebrate our diverse community and to enjoy a summer afternoon together in the beautiful setting of the Hunger Coalition's Hope Garden," said Jenny Emery Davidson, director of the CSI Blaine County Center. "The lively mariachi music and delicious food should be a great way to kick off the summer." Hallie Reikowsky, the Hunger Coalition's garden education manager, added, "Sharing cultures is an important part of strengthening the community. I am so excited to see folks from Latin American countries and heritage such as Guatemala, Mexico, Peru, Argentina and the United States coming together." The Hope Garden is on the corner of Walnut and First streets in Hailey. When: Friday, June 15, from 3-6 p.m.
Where: The Hope Garden, Walnut and First streets in Hailey. Cost: $2 per food plate.